The MyoTrain active support exercises precise compression on the musculature. Immediately after injury, the acute pad can be used to apply targeted compression to the affected area, in order to stop hemorrhaging or the spread of hematoma. 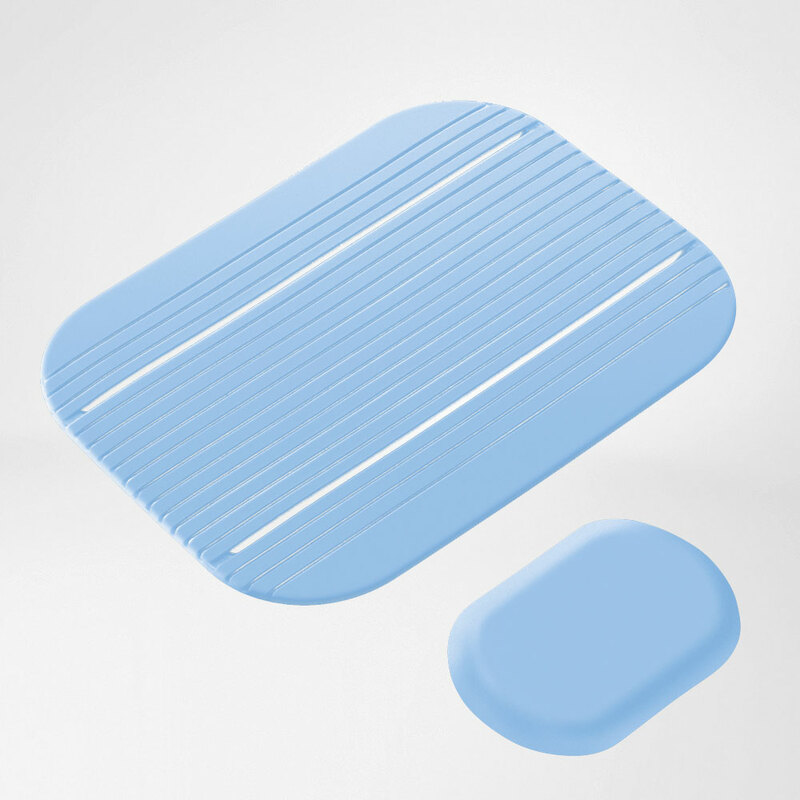 The larger functional pad with its lengthwise ribbing improves lymphatic circulation and reduces swelling, oedema and hematoma. 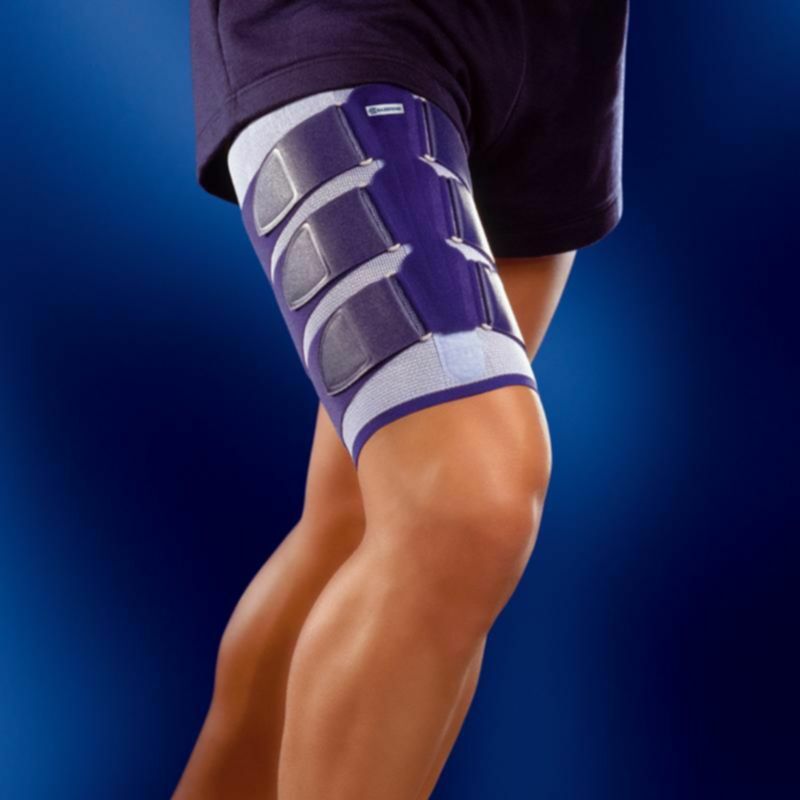 The support can also be worn without pads at the advanced rehabilitation stage and to prevent further injury.It alleviates pain, accelerates the healing process and prevents further injury. The high-quality materials are durable, breathable and skin-friendly. Indications: Muscle injuries to the thigh (especially cramps, pulls, ruptures, tears), Prevention, especially against repetitive injuries, Muscle bruising on the thigh and hamstrings, Additional support for follow-up treatment of muscle injuries. Size: Circumference A (2 cm above the knee): 1 (32-35 cm), 2 (35-38 cm), 3 (38-41 cm), 4 (41-44 cm), 5 (44-47 cm), 6 (47-50 cm), 7 (50-53 cm). Circumference B (30 cm above previous measurement): 1 (44-48 cm), 2 (48-52 cm), 3 (52-56 cm), 4 (56-60 cm), 5 (60-64 cm), 6 (64-68 cm), 7 (68-72 cm).